Part of the Soulmate Collection, This medium size heart Irish pendant comes in your choice of sterling silver, 10K or 14K yellow and white gold. The heart symbol is the universal symbol of love and in ancient times it was believed that the heart was the center of human passion and also the seat of the soul. This handcrafted Irish necklace includes 18" spiga chain. Made in Ireland and comes attractively gift boxed. Also available in 10K & 14K yellow and white gold. 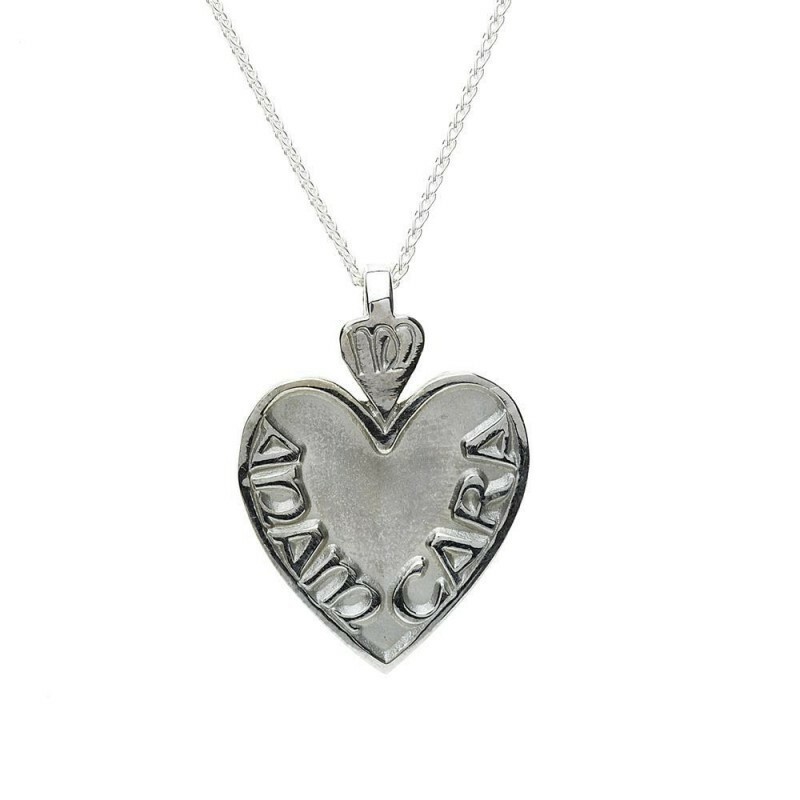 The Anam Cara design is Boru Jewelry's signature brand, originally designed in the mid '90's and it is still a firm favourite world wide. We created the original Mo Anam Cara, "My Soul Mate" ring. In Celtic tradition it is believed that when you connect with that special other person and become completely open and trusting with that individual, your two souls begin to flow together. Should such a deep bond be formed, it is said you have found your Anam Cara or "soul mate". Width: 23.5mm / Height: 29.8mm approx.